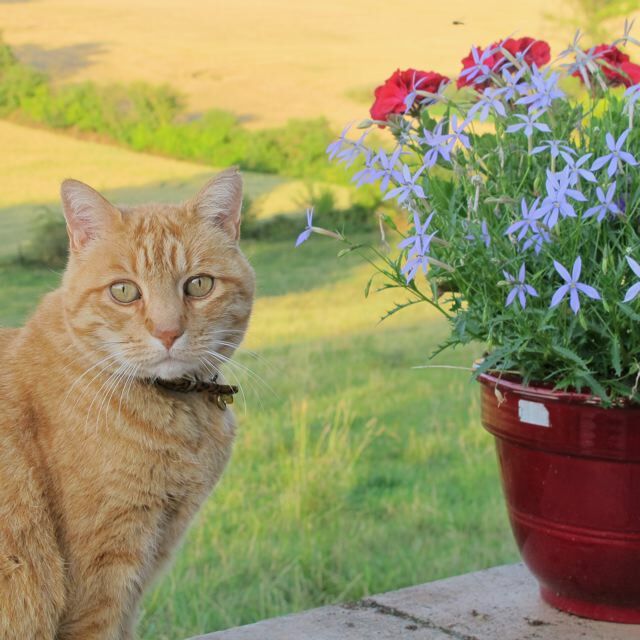 Enough of that–Marmalade can be over-anxious sometimes! 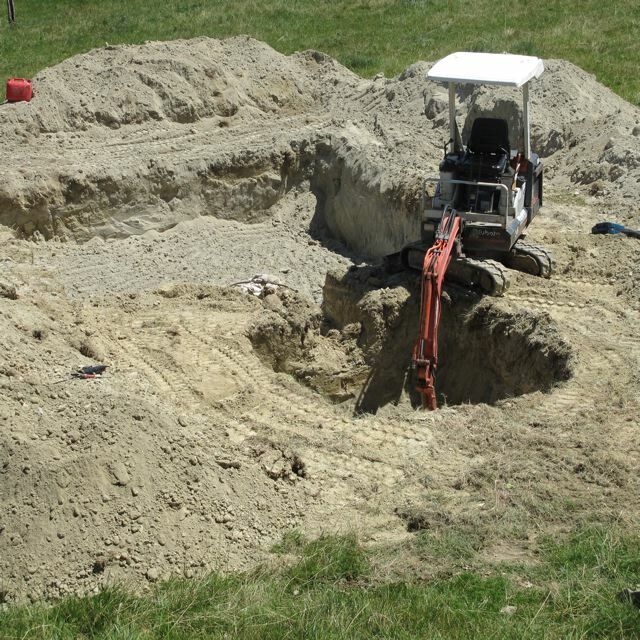 The work is being carried out, not because we had a tip off about where to find the lost treasure of St Martin–although we’ve fantasised about its existence for twenty years–but sadly for less romantic reasons. 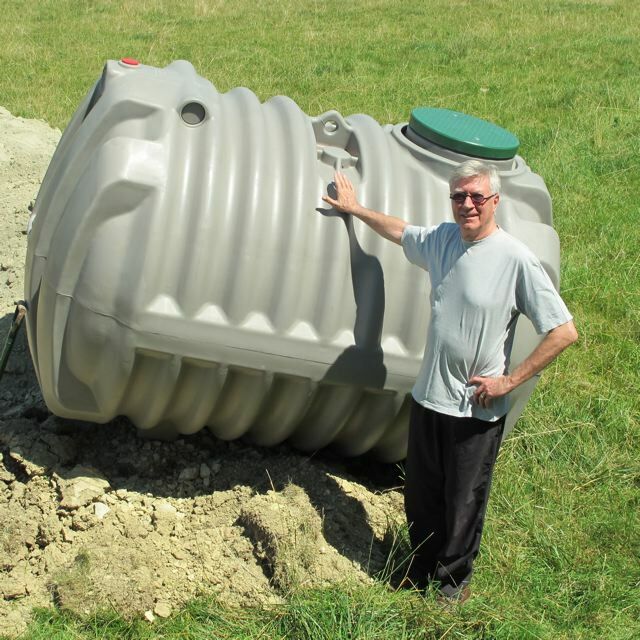 There is a new drive to implement a European directive on the subject of septic tanks and we’ve heard the inspectors are out and about and keen. 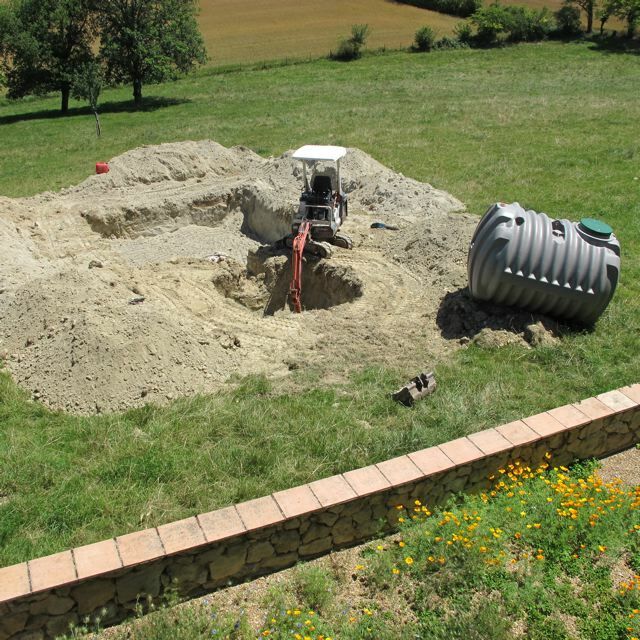 We have insufficient space at the back of the house to carry out the work as the regulations require; so have had to ask our neighbours, Alice and René, if they’d mind us digging what looks like an olympic swimming pool size hole in their meadow! They kindly agreed for us to go ahead–sight unseen. The “EU Waste Framework Directive“–attempts to ensure that waste is disposed of without endangering human health or harming the environment. It was passed in 1975 and aimed at turning the EU into a recycling society. I don’t see how you got along before you had it. Hi Louise–All in one now! Interesting!! Thanks for sharing us…. Bea. Sounds like the same scenario in the hilarious first chapter of “Merde, actually” by Stephen Clarke (only it happens in the Correze). The theme sounds familar. In the Nineties they made connections to the public sewer in the village where I originally come from. Every land owner had significant costs to pay. Depending on the living space and the distance to the main connection. Many thanks Martina for the useful link.Kindly regards!Chantal. Good for you, Meredith, and Marmalade. That’s a lot of work, very interesting pictures.For sure (in the far future) when my husband has to dig in the garden (lol). I think I best try to buy a house where it’s already done, and the cost is high and best build not to close to a swimmingpool. The joys of home ownership! 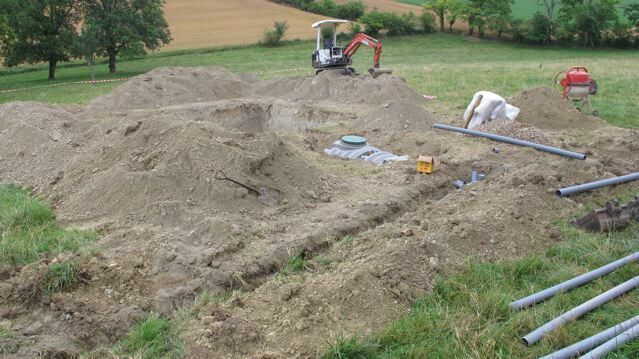 And you are clearly blessed with good neighbors – it’s very kind of them to volunteer their meadow for the excavation. We are truly blessed–you are right!